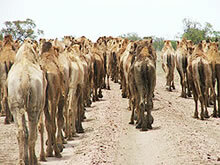 Camels and Live Animal Export. 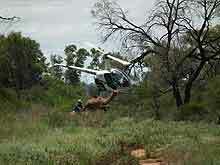 The start of wild camel catching. Only a mother could love it. 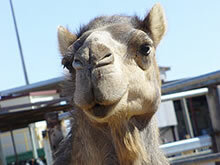 We can supply a whole range of camels and products to anywhere in the world. Australian AQIS export license number L580. It is a small family company with interests in live export, racing, meat, milk, tourism and other projects within the camel industry. Paddy McHugh, Managing Director, and a prominent identity in the camel industry in Australia over the last 30 years, has specialist expertise in all aspects of the camel world. 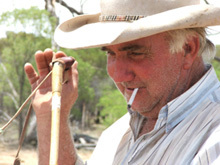 In addition, Paddy has played a key role in establishing the development of the camel industry in Queensland, Australia. 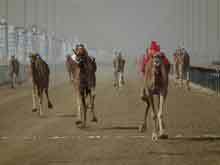 Paddy has exported camels to the UAE, Thailand, New Zealand, and Japan and runs feral catching operations within Australia selling large numbers of camels to the domestic market for racing, tourism, weed eradication and the provision of camel products. Over the last couple of years there has been unprecedented demand for the export of camel meat, milk and live animals to countries throughout the Middle East and Asian regions. 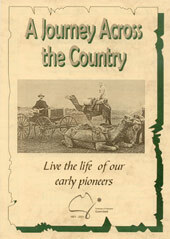 Paddy was first in Australia to run camels through an export-licensed abattoir for the European market. 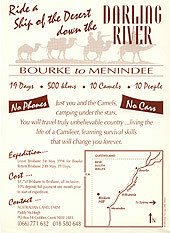 The company was also instrumental in starting the Boulia Desert Sands camel races in western Queensland. 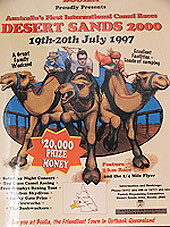 This was the first professional camel races in Australia and is now one of the biggest outback events in Queensland. We feel confident and are dedicated to see this develop as another small but viable business for the rural sector, complementing current operations and lifting the bottom line in property returns another notch. The big underlying problem is supplying the market with good quality on time products This requires farming. 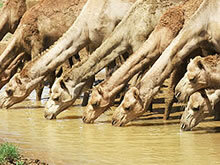 We have a raw resource of 600,000 plus feral camels that could be domesticated, not shot. 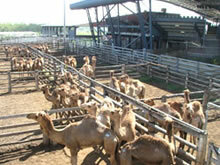 To establish a large broad based commercially viable camel Industry in Queensland and Australia. Australia is the only country in the world with feral camels. Some 600,000 plus animals roam the most remote parts of the country, not only surviving but doing extremely well in a land where 70% is classed arid. They are at present being needlessly slaughtered by National Parks and some graziers who view them as a pest and out of control. This is a total misconception and one that needs to be rectified. Why are we eliminating an animal that does so well in this dry country when world demand for the product is very strong in meat and milk. 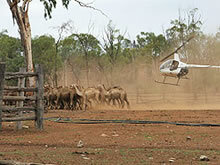 Camels behind the wire is a plan to take a resource from the wild that is currently feral. 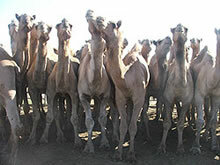 By taking selected feral camels over an ongoing period of time, large herds of well bred and managed, tractable, healthy camels can be developed for human consumption. 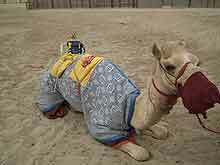 In time the correct growing of these camels can supply the export licensed Halal abattoirs with a very high quality saleable product. Alongside meat, there is milk production, hides, blood science and racing. 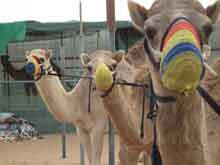 It needs to be a full-scale holistic approach to the emerging camel industry. At the same time, the camels can be playing a very important and extremely effective part in the control of woody weeds in the state. Camels can significantly reduce weeds and have only a 25% maximum forage overlap with cattle. 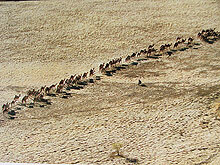 If there are lots of trees and shrubs such as Parkansiona, Prickly Acacia, Brigilow scrub and wattle suckers, the percentage will be far less, and you will have very fat camels. They also carry a ruminate bug that can be passed onto cattle, which assists cattle consume harder fodder and gives them the capability to succeed in more marginal country. The industry would run along the same conceptional ideas as the cattle industry. It could and would complement the cattle industry, starting off as a small player but growing into a steady and viable export concern for Queensland. 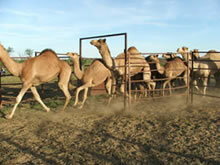 Camels can be farmed alongside cattle and sheep with very little or no modification to property infrastructure. The husbandry is similar and handling techniques only slightly different. At present Australia receives enquires for camel meat and live sales from Egypt, Libya, Saudi Arabia, United Arab Emirates, Malaysia, United States of America, Belgium, China, Brunei, Thailand and Kuwait. Markets and personal trader contacts need to be researched and established with these countries. This is an industry crying out to be developed. It is a classic win-win situation with weed control, meat and milk production for strong export dollars, jobs and substantial financial gain to investors and the Australian farming community.